El Dorado Nursery — More Flowers and Veggies! We just got a couple fresh shipments in and the tables are filling up with color. We also got some more veggies, the first of the bell peppers and heirloom tomatoes are now in stock, still a little early to put them in the ground but some of these varieties will go fast so start collecting your wish list items now. We still have a good selection of spring veggies to plant now, spinach, lettuce, chard, kale, snow and snap peas, ect. 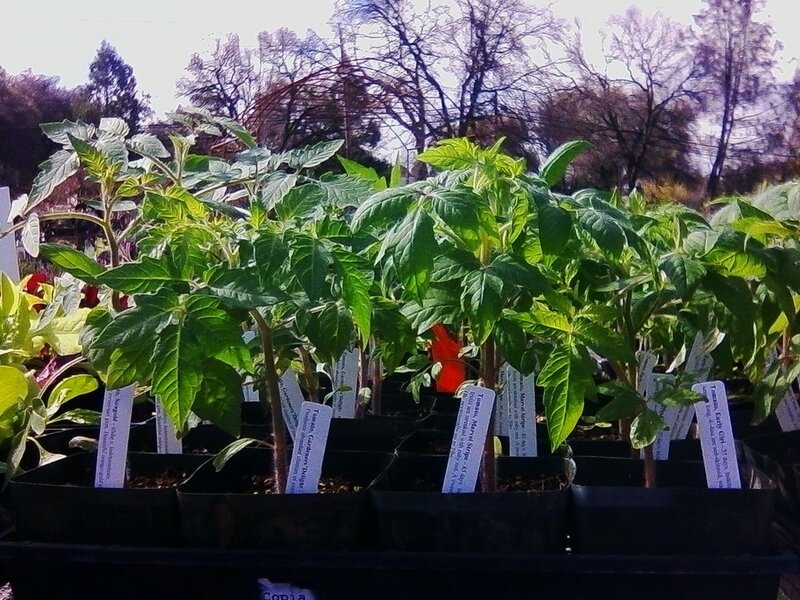 Scroll to the bottom to see a full list of tomato and pepper plants. Tomato Varieties - many of these are limited quantities, but we will be getting more each week, lots of different varieties will be coming available soon!